This weeks feaured author is Kyoko M.
Kyoko M is an author, a fangirl, and an avid book reader. 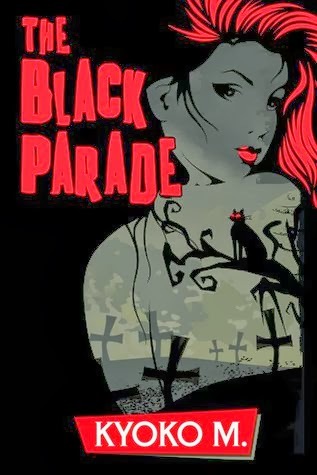 Her debut novel, The Black Parade, made it through the first round of Amazon’s 2013 Breakthrough Novel Contest. 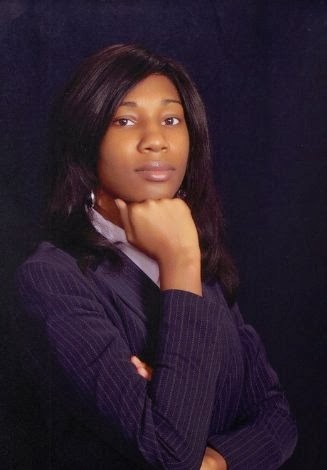 She participated and completed the 2011 National Novel Writing Month competition. She has a Bachelor of Arts in English Lit degree from the University of Georgia, which gave her every valid excuse to devour book after book with a concentration in Greek mythology and Christian mythology. When not working feverishly on a manuscript (or two), she can be found buried under her Dashboard on Tumblr, or chatting with fellow nerds on Twitter, or curled up with a good Harry Dresden novel on a warm central Florida night. Like any author, she wants nothing more than to contribute something great to the best profession in the world, no matter how small. One bullet is all it took to transform eighteen-year-old New Yorker Jordan Amador into the last hope for souls of the dead. However, it also transformed her into a cantankerous asocial waitress with a drinking problem. Jordan accidentally shot and killed a Seer: a person who can communicate with ghosts, angels, and demons. Worse still, she did so on the eve of her own awakening, making her the last Seer on Earth with no one to guide her. As penance, God gives her two years to help one hundred souls with unfinished business cross over from Earth to the afterlife or she will go to Hell. Just as she approaches the deadline, Jordan finds her hundredth soul: a smart-mouthed poltergeist named Michael whose ability to physically touch things makes him distinct from her usual encounters with the dead. However, the deeper she delves solving his sudden death, the more she realizes something sinister is on the horizon. With time running short, Jordan stumbles across a plot that may unravel the fragile balance among Heaven, Hell, and Earth. Her life is plunged into chaos as she is hunted by demons that want to use her valuable Seer blood to bring about the end of the world and discovers that these creatures have a frightening connection to her family bloodline. Plus, the budding romance between Jordan and Michael makes it harder for them to let go of each other so he can become part of the eternal black parade.